1. 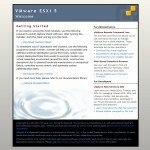 Download from VMWare Here. 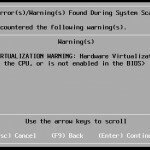 You may need to register with VMWare but it wont cost a thing to get up and running. 2. Create installation media of your choosing; burn to a disc, make a USB bootable installer, network boot, etc. I will be installing this example into a virtual environment but the process is the same. 3. 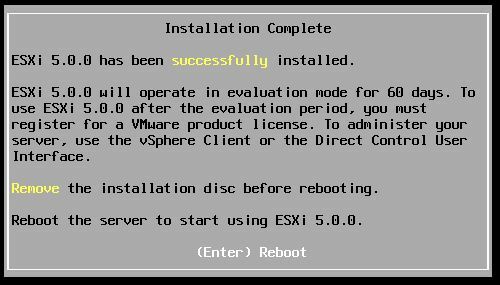 On your host boot from the installer. 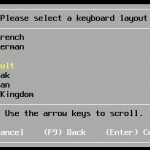 Select the highlighted and several screens should appear as the installation begins. 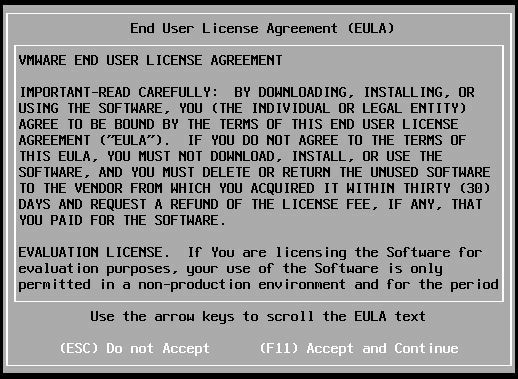 4.Press “Enter” to continue then F11 to accept the license. 5. 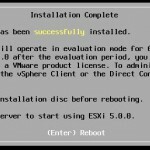 VMWare will identify all eligible installation media. In this example I am using a small local hard disk. You can also install onto a USB or Flash media. Select your desired media from the list and press “Enter”. 6. 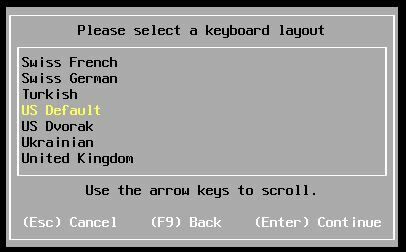 Choose your keyboard layout. The default is US. 7. 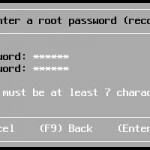 Enter a unique password at least 7 characters in length. 8. 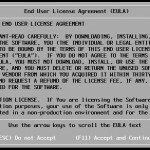 The installer will scan the system one final time to ensure there are no errors. 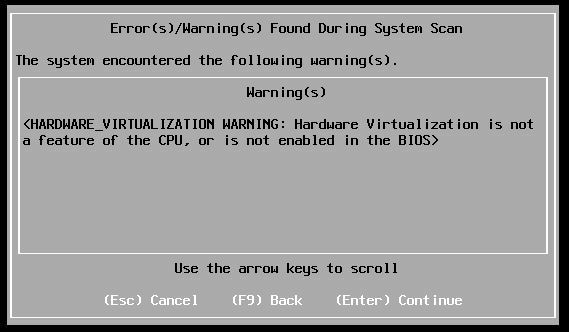 Since I am installing into a VM without hardware virtualization enabled I get the following warning. It does not affect the installation or function of the server for the beginner and can be ignored. Any unique errors you may get research accordingly. 9. 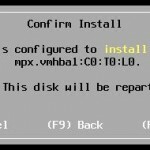 Confirm the Install by pressing “F11” and let the installation complete. A few screens will flash by then you will be prompted to reboot. 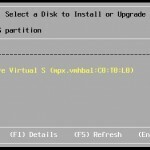 Remove the installation media from the host and press “Enter” to reboot the system. 10. The system will reboot and automatically get an IP address using DHCP. This will be displayed on the the local console along with some system information and direct console options. In my example the server had obtained the IP of 192.168.1.135. If you are not using DHCP you will need to configure the IP using the local console by pressing “F2” and editing the network configuration to your desired address. 11. 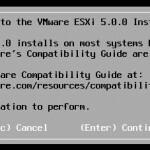 From a computer on the same LAN as the host open an internet browser and navigate to the IP address of your VMWare ESX host. 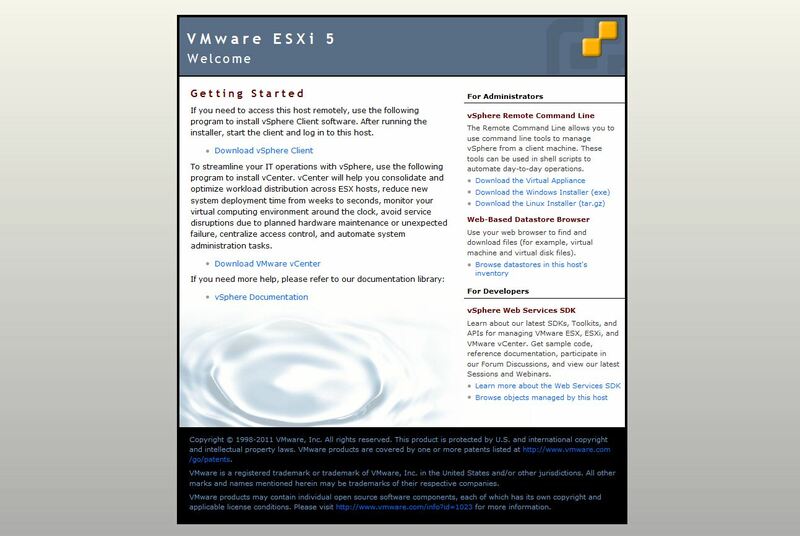 This will provide helpful links to information as well as a download of the vSphere Client which you will need to use to further configure the server and create your virtual machines.